Conserve energy by keeping your garden ‘green’ by using materials in your garden that are permeable, recyclable, locally produced and natural. 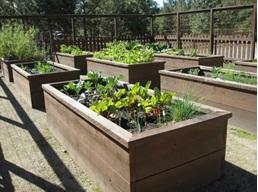 Reduce yard waste by selecting appropriate size plants for the space in your garden. Re-use on-site materials where possible. Minimize use of gas tools and choose electric or hand tools instead. Use “green” building materials. Forty percent of unwanted heat in your house comes in through windows. Use deciduous trees to the south and southwest to block sunlight before it enters the windows in the summer. In winter the trees drop their leaves and allow the sun to warm your home. 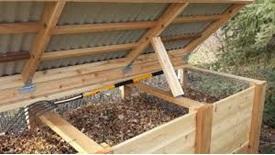 Composting kitchen and yard waste reduces the amount of landfill and, when used as mulch reduces evaporation and feeds the microbes in your soil. It’s easy to build a compost bin; go to this link for simple instructions for building a compost bin or purchase one at any home improvement or hardware store. Click here for information on how to properly build a compost pile for maximum results. Growing your own food is fun and it tastes so much better than store-bought produce. And doing it with home-grown compost and without using synthetic fertilizers and pesticides, allows us to eat organic! The Master Gardener website is a wonderful resource for information on food gardening; go to the ‘Food Gardening’ tab at the top to get information on what to plant, when and how to plant it, irrigation information and much more.